- The University of Chicago Logan Arts Center officially opens October 12 through 14. The opening is a weekend of free arts events, featuring a performance by Los Cenzontles who will be joined by Los Lobos&apos; David Hidalgo, a reading of Sean Graney&apos;s All Our Tragic and a talk with the architects of the South Side building. (Disclaimer: I was a student advisor on a council that reviewed the design for the Logan Center in its early days). - Steppenwolf for Young Adults&apos; The Book Thief has been extended for two additional performances. 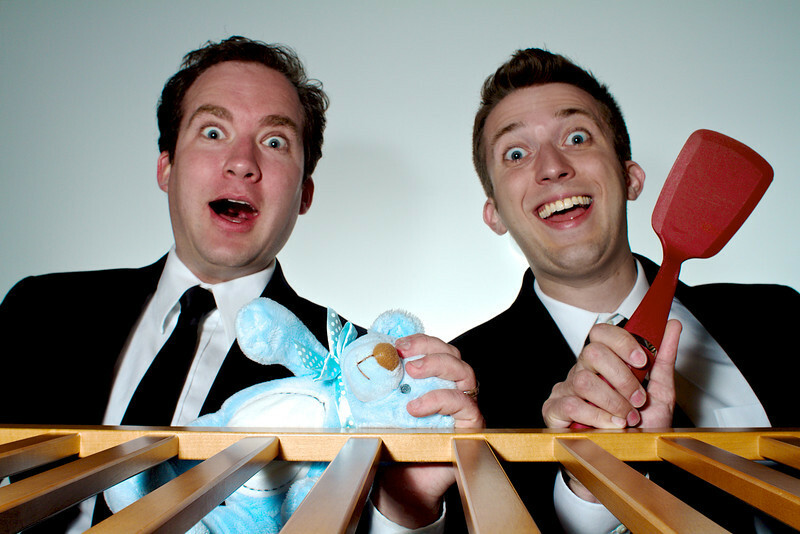 - Urlakis & Cusick&apos;s new show Urlakis & Cusick: Questionable Lullabies opens that weekends as well at Stage 773. Look at that photo. Questions? Tips? Email kdries@wbez.org.